But, doing the same old push-up workouts or routine over and over can become boring and will eventually lose its effectiveness. You need something fresh, something that will challenge your body in new ways. This quote is so true when it comes to all forms of exercise, and it’s definitely true when it comes to doing push-ups. Repping off more and more standard push-ups just won’t cut it if you’re looking to see serious changes in your strength, endurance or physique. Change your time under load (TUL). The duration of a single push-up determines the time that your muscles are actually under load. In other words, a slower push-up forces your muscles to work for a longer period of time, whereas a quick push-up requires a much shorter muscle contraction. TUL is the total time required for a single repetition. Why Does Time Under Load Matter? Let’s talk about running for a minute. Imagine two friends, Alice and Sandra, are training for a 5k race. Alice begins jogging each day for 20 to 30 minutes at a steady pace that feels comfortable for her. She tries to run a bit faster each week so that she’s ready for race day. Sandra takes a different approach. Some days she jogs a steady pace just like Alice, but other days she goes to the track and runs sprints. Often those sprint sessions last just 10 to 15 minutes because of how intense her pace is. Who do you think will perform better in the race? Research has shown that changing up your training pace will improve running performance. Sandra will likely do better in the race. Now let’s go back to push-up training. Using the same tempo for all of your push-ups is similar to jogging at the same pace day after day. Yes, you might be able to do a few more push-ups over time, but your muscles are not being challenged nearly as much as they could be. Why waste time doing something that won’t provide you with maximum results? It’s time to vary your TUL! Okay, so you’re ready to test your push-up skills with a new TUL workout? Here’s an amazing (aka killer!) push-up workout that you can do in about 10 minutes. If you want a little more work on your shoulders and triceps, try repeating the same three time variations using a triceps push-up stance (hands are narrow, just the width of your body). Finish off your workout with the same three TUL sets, however this time you can set up in a planche push-up stance (hands rotated outwards, shoulders shifted forward — watch the below video or here to see this in action!). 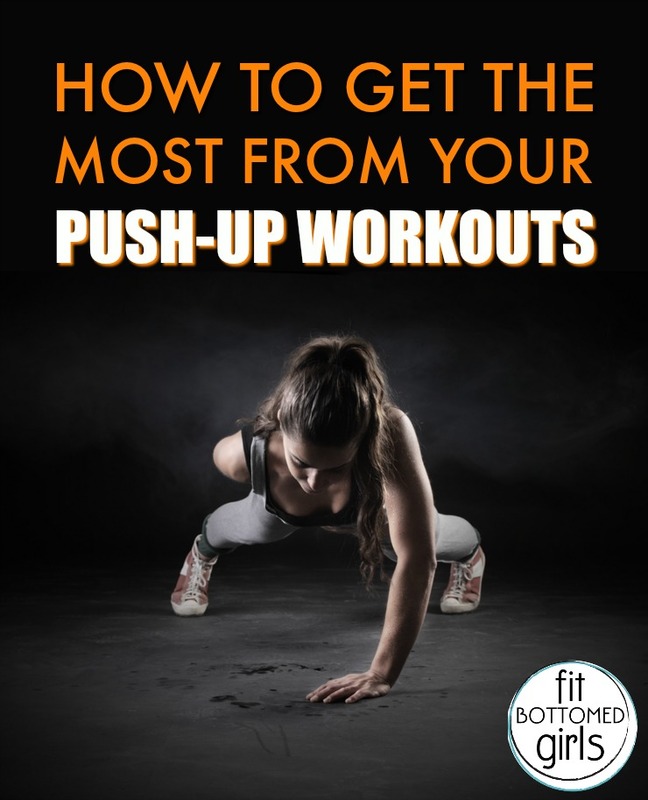 This 9-set push-up workout is extremely challenging, so you might want to start with just the first then exercises and then add one more each week as your muscles adapt. Thanks to Sharing Awesome Workouts for Home. Amazing write-up! I still remember the first time I tried push-ups. I enjoyed reading your blog. keep up the good work.